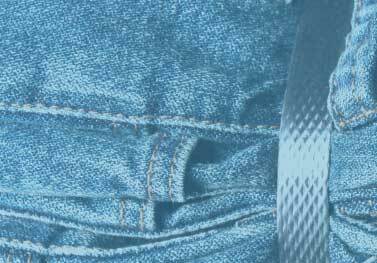 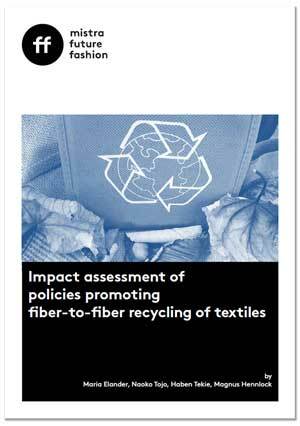  This Mistra Future Fashion report shows that mandatory Extended Producer Responsibility (EPR) and a Refunded Virgin Payments system (charge on virgin fibers) have large positive impacts on fiber-to-fiber recycling as well as overall recycling of textiles. 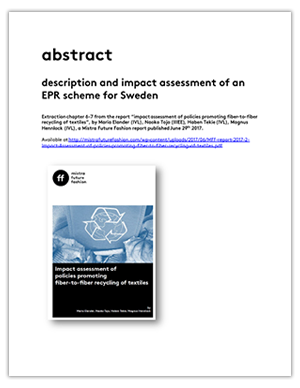 Researchers see need to broaden the scope regarding potential policy measure, both upstream and downstream improvements achievable with the right scope and design of a mandatory EPR. 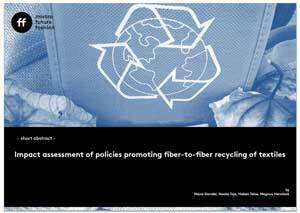 A system for refunded virgin payments would contribute to closing the loop for textiles.